Image: Sprinkle Bakes/Flickr//Original photo was cropped but not altered for this article. I’ve seen my fair share of gorgeous cakes, but most of them veer to the side of floral and frilly. 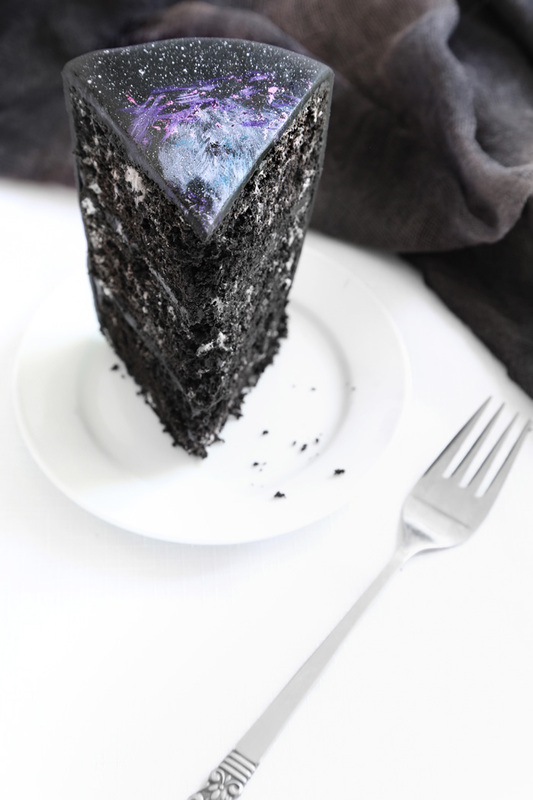 This black velvet nebula cake by Heather Baird of Sprinkle Bakes, however? It’s in a galaxy all its own. I’ve never seen a cake quite like this. The exterior features black fondant hand-painted with sponges and a small brush to create different nebulae, galaxies and stars out of gel food coloring. The interior is a rich black chocolate cake. It’s made with dark cocoa powder but is even more dramatically dark thanks to some black gel food coloring. But to keep things from getting too monotonous, cake master Heather added edible white star confetti to the batter before baking. 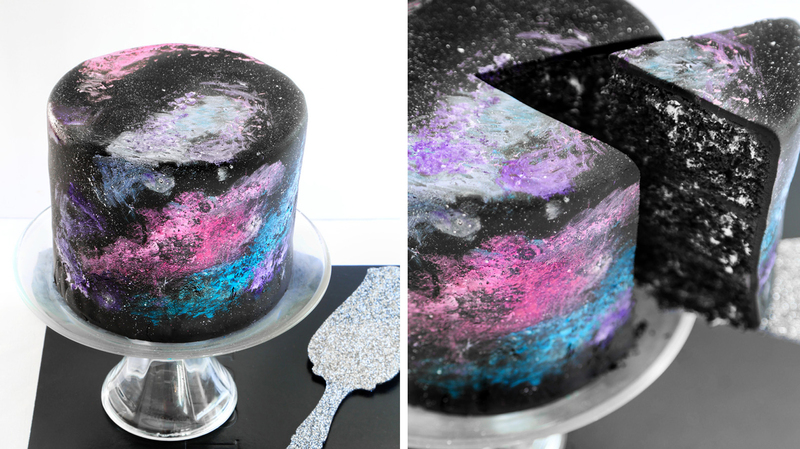 When you slice into the cake, it looks like you’re about to eat a piece of deep space flecked with glowing stars. What really impresses me about the cake is that Heather’s technique is actually approachable. Sure, it might take a few practice cakes before you have the painting down, but it seems a whole lot easier than creating fussy sugar paste peonies or trying to create perfectly even buttercream piping. Red velvet has definitely been trending for a while now, but I say this cake ushers in a new era. 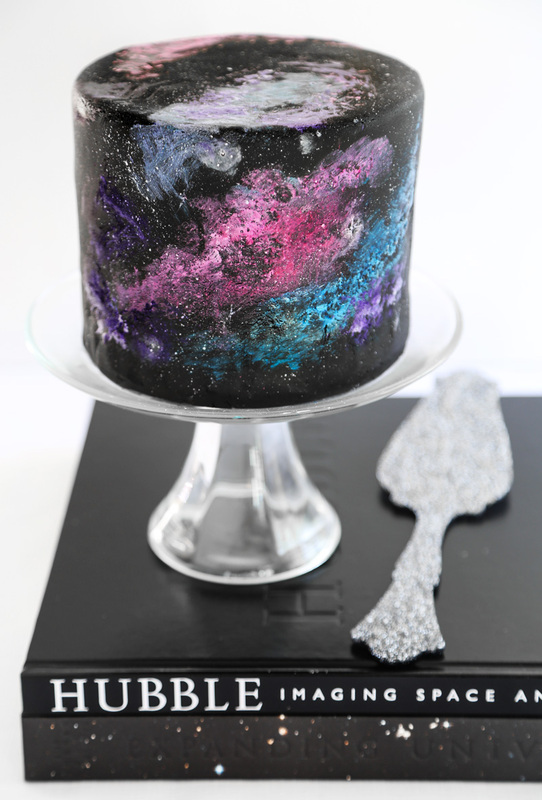 Black velvet galaxy cake, here’s to you getting the accolades you truly deserve. And if any of my friends are reading this, you now know what I want my next birthday cake to look like!